A deep brown colour, indicative of this wine’s ageing combined with a refined complex bouquet of raisins and dried fruits such as figs, prunes and walnuts that stand out for their quality and delicateness. Round, firm, elegant, soft, rich and elegant are just some of the adjectives that can be used in an attempt to describe the pallet impressions of this highly complex, rich wine. The longer this wine is left in the mouth, the greater depth it acquires. The endless aftertaste of this wine is still preserved after a long time. 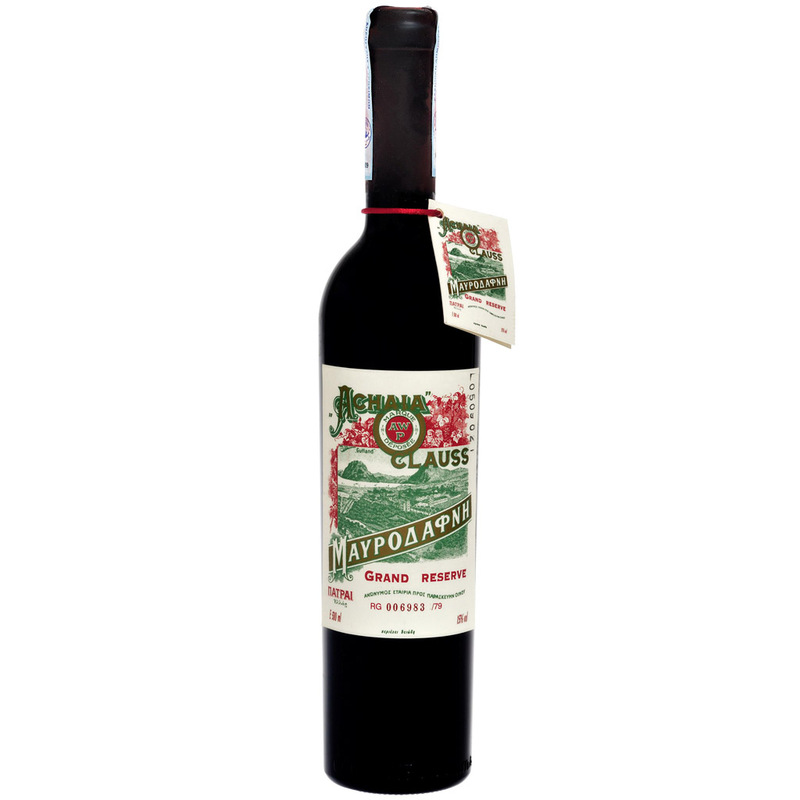 It is no surprise that it is marked as one of the best sweet wines of Greece. Mavrodaphne 601 GRAND RESERVE, is ideal as an aperitif, with roasted almonds, dried figs, foie gras, and also as a dessert wine it is an excellent match for melon, blue cheese, cream caramel, bitter chocolate cake with vanilla ice cream. Serve at 11-13°C. Mavrodaphne of Patras Zone PDO (south and southwest of Patras). According to the traditional way of heavy sweet wine. Stopping fermentation by adding wine alcohol. So the sweetness of Mavrodaphne wine derives exclusively from grape sugars, while its bouquet combines the aromas from grapes with those of partial fermentation and ageing.